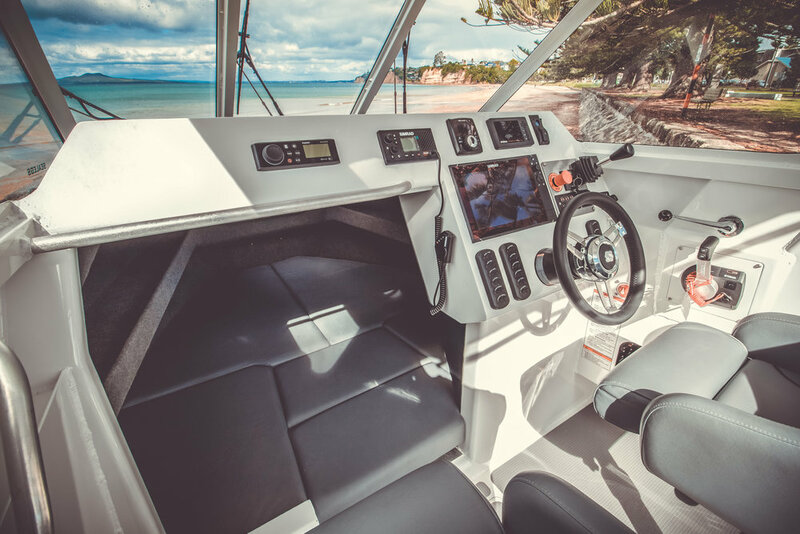 We took the Sealegs team on a sea trial on the IV585 Explorer and they were very impressed with the soft ride, how quiet the hull was when it sliced through the water and the overall style of design. 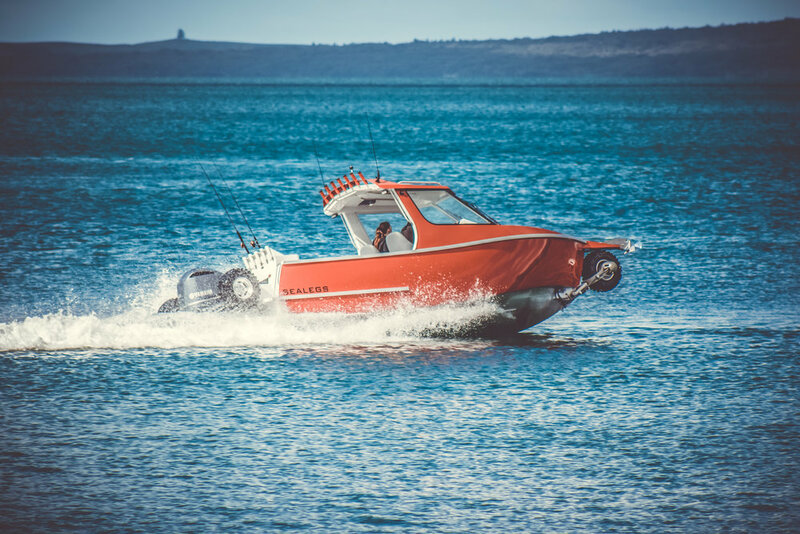 After a design brief was received we started to manipulate the Innovision design concept to suit the amphibious engineering. The weight distribution study was very important to establish the correct trim of the hull while at rest and on the plane. 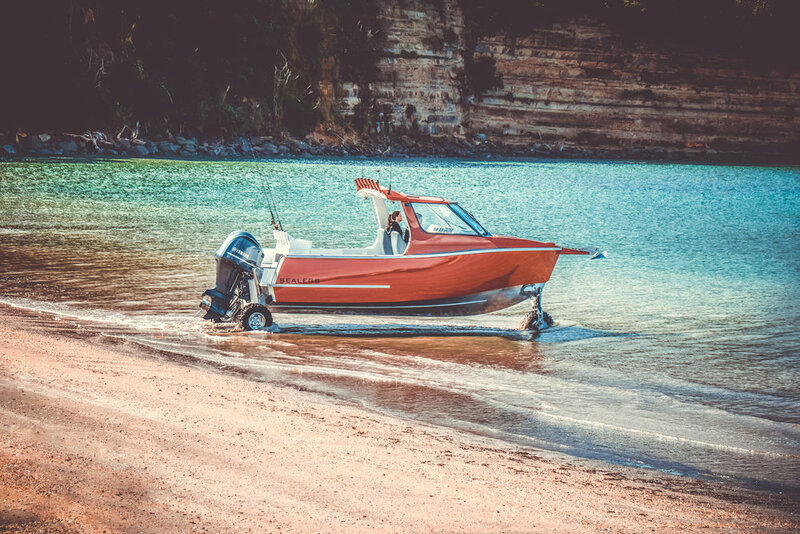 Sealegs have since manufactured the first boat and the final product turned out amazing. 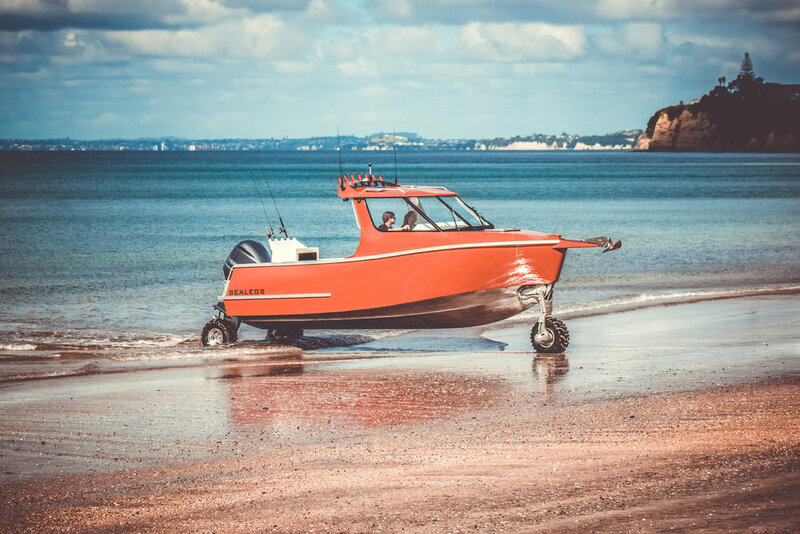 The ride was as good as any of the other Innovision hulls and the Sealeg team were really pleased with the final product. 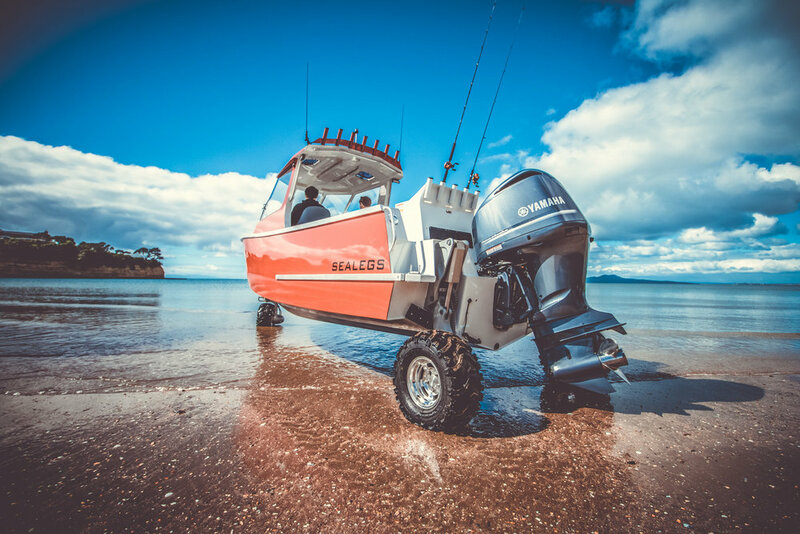 Sealegs have since sold a further 5 boats and we are sure this model will be seen all along NZ’s coastline over the coming years.